I have been having crafting withdrawal symptoms this last while. It's been a very busy time lately with visitors and such like - a lovely time - but now the holidays are over...sniff...today the schools are back and I am all on my own for the first time in ages...so the first thing I did was head upstairs to play with my Tonic Studios goodies ;-) What else? 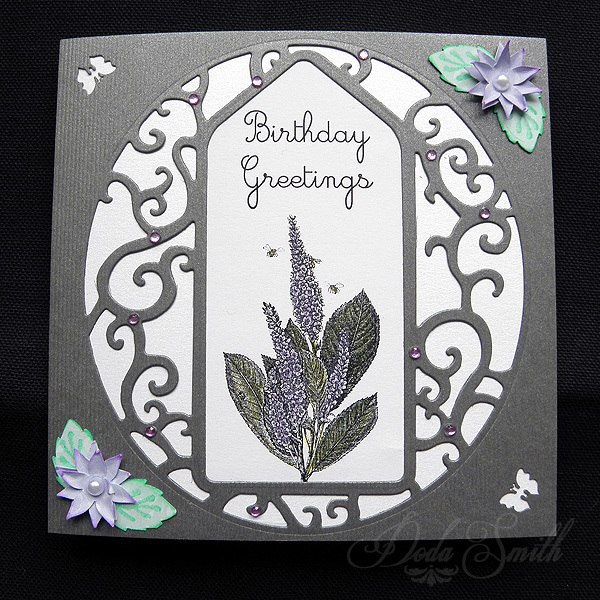 I've rustled up this simple birthday card using the Indulgence elegant vine oval base. The greetings and flower on the tag were computer generated. The little flowers on the corners are made with the Punch and Stamp Rose/ Gardenia set.